Baby Love Birth Center is designed to create an environment perfectly suited to help you relax and enjoy your pregnancy and birth. We have three beautifully decorated private birth suites, each with a whirlpool tub/birth pool. We have a fully equipped kitchen, and a comfortable waiting area for family and friends. All parents are offered Hypnobirthing Class at a discounted rate and free breastfeeding and nutrition class. Families choose Baby Love Birth Center to be educated, supported, and empowered. We utilize the midwives model of care to partner with you for a healthy pregnancy and birth. Watch and read stories of families who have chosen waterbirth. I LOVE this place! I was blessed to give birth at the Baby Love Water Birth Center to my daughter 4 yrs. ago and loved & enjoyed every min of it. And I was able to share that moment with my family. Every year on my daughters birthday I'm able to share that beautiful memory with her because of the Baby Love Water Birth Center. They take good care of you there. And I would give birth there again if I get the chance to. Thank you so much to the whole staff for all that you have done. Unforgettable experience . Great staff and atmosphere… we loved it !! I had the most beautiful birth experience at the birth center. I was very sure about what kind of birth I wanted for my daughter and I was able to achieve that with no need for discussion. Despite being a first time mom and easily concerned about my baby's safety through the delivery, the midwives quickly calmed my fears and I was able to help bring my baby into the world with my own hands. I can't tell enough people about this amazing experience. Having been a patient of Baby Love for two pregnancies, I can confirm they provide outstanding care. With my first born at the center and second born in hospital, I still received the same level of care. From the educational prenatal appointments, to the classes offered, to the caring staff and amazing midwives - you will be in great hands. Also a great sense of community here where I have made many cherished lasting friendships. I originally transferred because I just felt like a number at a OBGYN (with zero support) and also wanted to plan for a natural birth with minimal risk of unnecessary interventions. Best decision ever. BLBC was the most amazing birthing experience we could've ever had. The care we received throughout our pregnancy and after birth was immeasurable. Having a water birth was a life changing experience that every woman should have. Highly recommend the hypnobirthing and breastfeeding classes!!! We will def be having our future births there! Thank you for everything Samantha, Ivy, Rita, Alexis and Braidy!! oxox! Best decision my husband and I made. 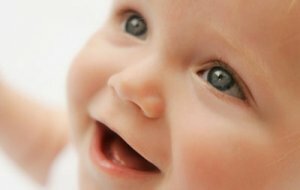 The birth class and care from the staff at Baby Love helped my husband and I to have an incredible birthing experience. From the first trimester through postpartum… This really is a experienced and loving team! I just love Baby Love Birth Center! I had my daughter here this past weekend. The staff is amazing and helpful. I couldn't have done it without Samantha, she's an awesome midwife! If we decide to have another child, we will be back. I wanted to say thank you - and recommend - the BABY MASSAGE CLASS with Braidy @ Baby Love. The private session was a great set-up since my little guy wanted to nurse during and just wasn't into participating that day. I was still able to learn from her one-on-one and then practice the techniques at home. Braidy was friendly, knowledgable and most of all a great masseuse! New parents should take advantage of this amazing opportunity for their baby. I am so glad that we decided to have our third & last baby at Baby Love. I would change nothing about our experience, it truly made a world of difference in my pregnancy, labor and delivery, compared to standard hospital practices! Thank you to all the staff that made it so special for myself & my family! I may not have been able to give birth here but have attended several events here and recommend this place to everyone :) the birth center is so welcoming and home-like. I gave birth here six yrs ago and had a wonderful experience! Which is why im returning for this baby as well! I love this place! Here at Baby Love Birth Center we believe in all women’s innate power to have healthy pregnancies and normal births. A cornerstone to our success is educating our moms to best prepare them for the journey of pregnancy and birth. To do so, you will have the option to take a Hypnobirthing Class at a discounted rate, as well as to attend free breastfeeding and nutrition classes that are offered regularly. Our center was designed to create an environment that allows you to relax, trust your body, and enjoy each and every step of your pregnancy and birth. You’ll have three beautifully decorated birth suites to choose from, each with a whirlpool tub/birth pool that are specially designed for water labor and birth. Planning to have family and friends come with you? Here at Baby Love, you don’t need to worry about them battling vending machines or sleeping on office chairs, they’ll have access to our fully equipped kitchen and the most comfortable waiting area around! Families choose Baby Love Birth Center because they want an educated, supported, and empowered birth. Our midwives utilize the Midwives Model of Care to support you in maintaining a healthy pregnancy and to achieve the the birth you desire. Every part of your experience from the first step you in take into Baby Love is centered around you. Click here for more details or to send us an email!